Lagos — MTN Group President and CEO, Rob Shuter, has acknowledged that MTN Nigeria's plans to list on the floor of the Nigerian Stock Exchange (NSE) have been challenged by the recent issues involving the Central Bank of Nigeria and Attorney General of the Federation. Shuter's statement is contained in the MTN Group 2018 Q3 financial result for the period ended September 30, 2018. It would be recalled that MTN Nigeria recently sued the Central Bank of Nigeria (CBN) and the Attorney General of the Federation, AGF over allegations of improper repatriation of about $8.1billion and unpaid taxes of $2.0 billion the duo levied against it. The telco is seeking injunction to restrain them from taking further action in respect of their orders to reclaim the alleged debts. 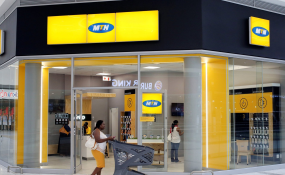 Shuter however assured that MTN remains committed to the listing in Nigeria, noting that the group had engaged extensively with authorities in Nigeria to deal with the matters they raised.